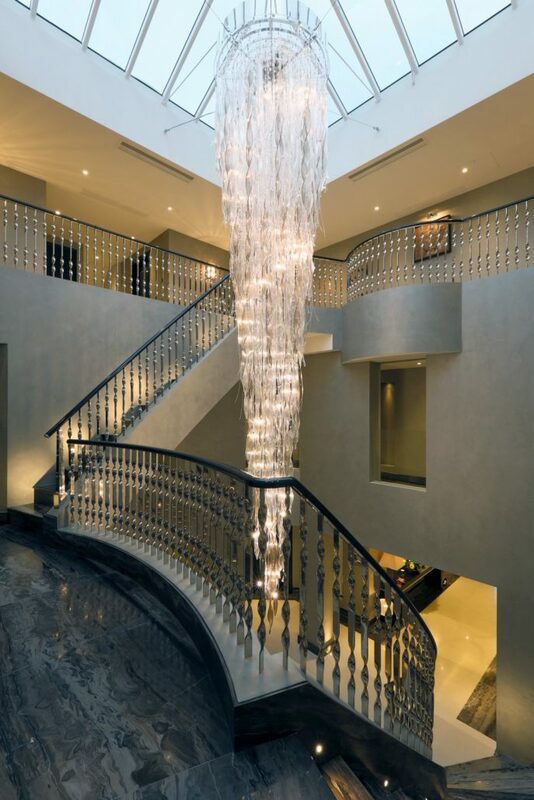 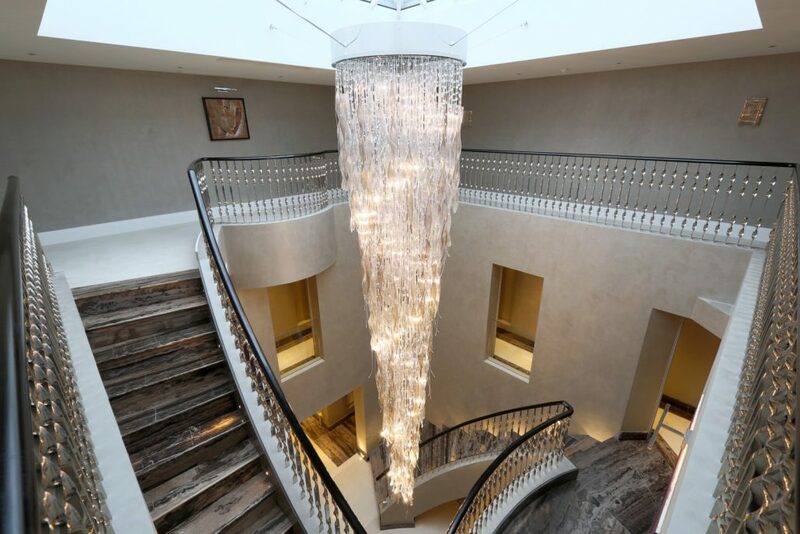 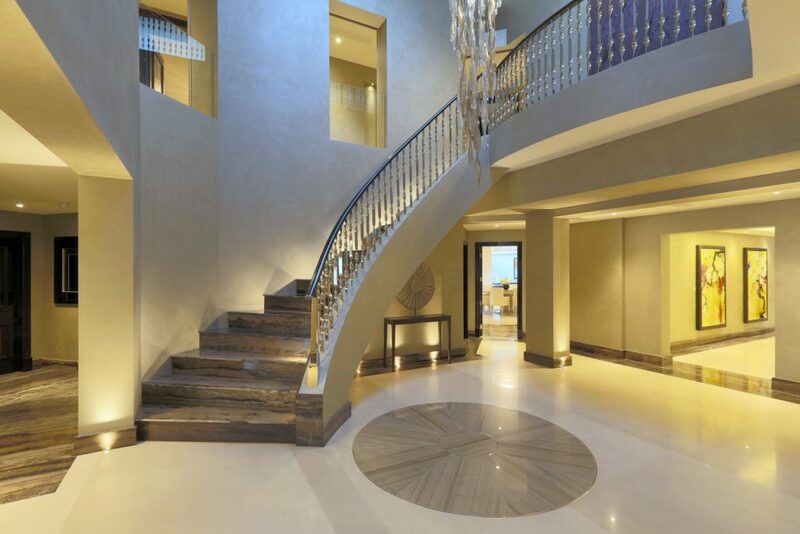 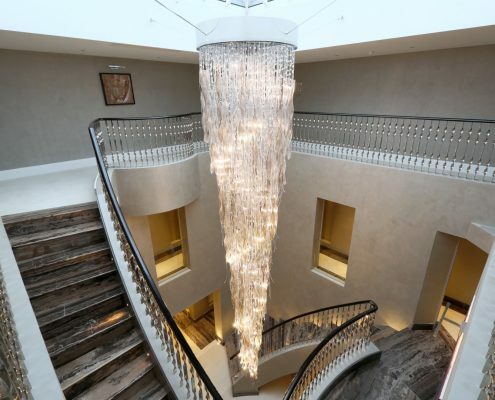 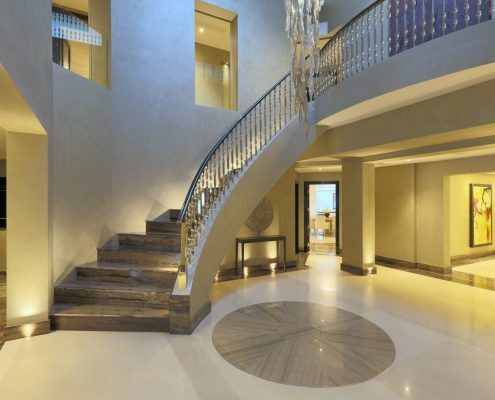 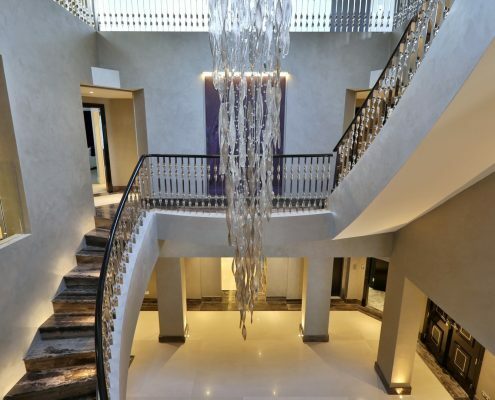 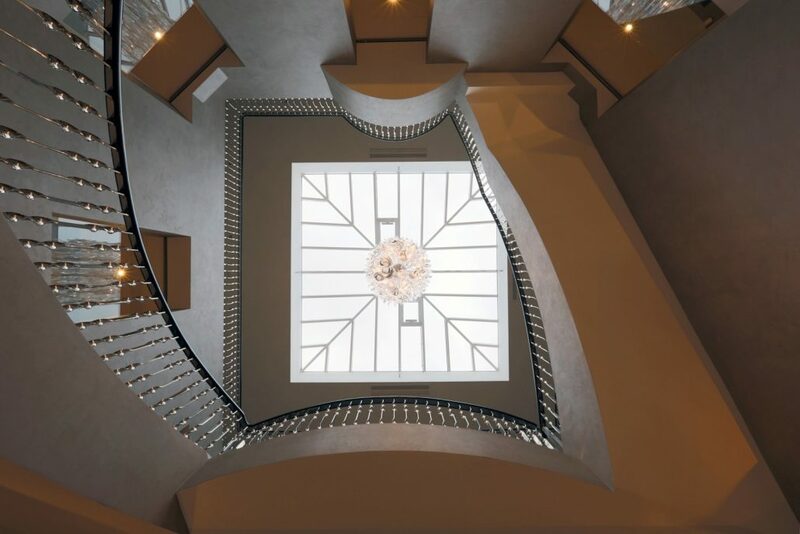 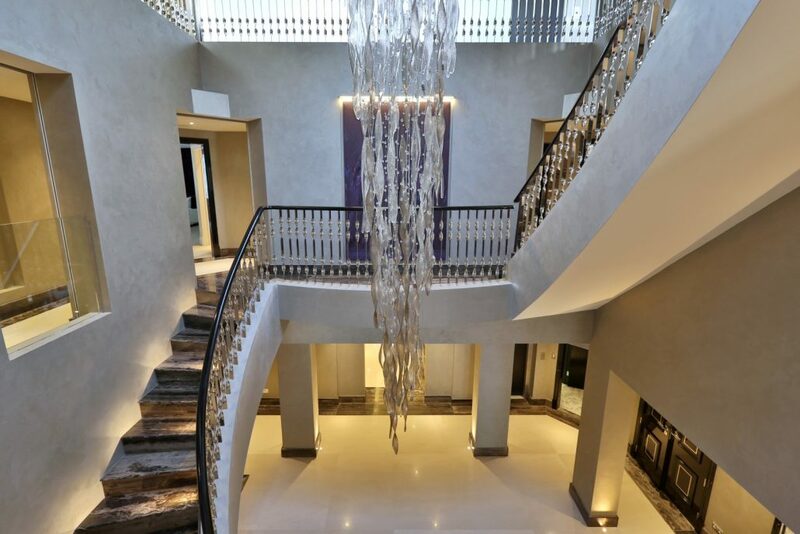 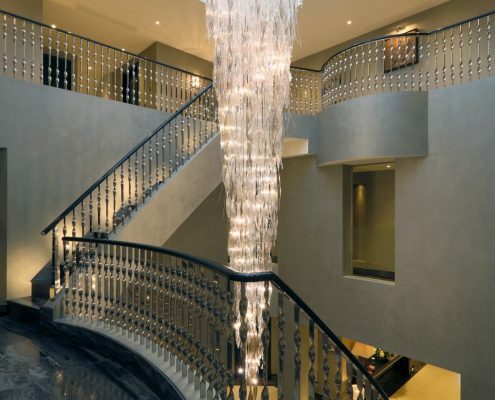 This fantastic staircase was the centerpiece of a large house in Wimbledon. 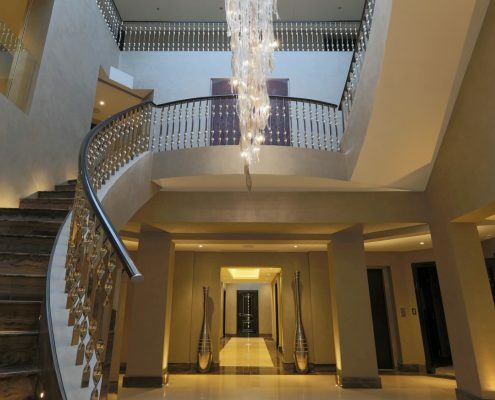 The mirror finish stainless steel balustrade was created by Archimet. 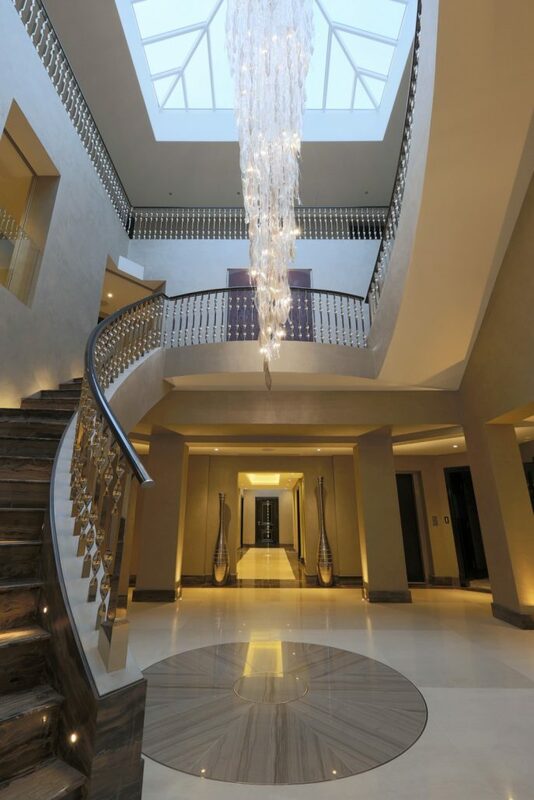 We were contracted to survey the balustrade in situ, then manufacture, install and ‘ebonise’ wooden handrails. 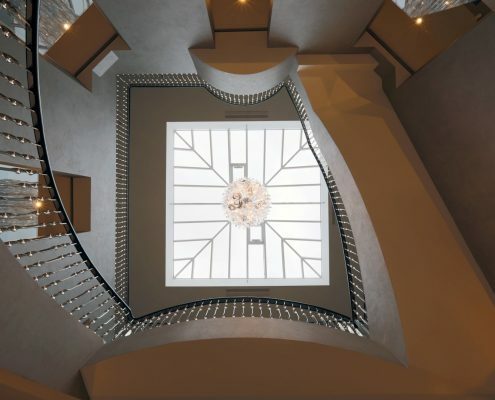 The sweeping black handrails offset against the walnut treads helped to create what is an iconic stairs.